Experience Crystal Cruises from Rome and Venice to experience the finest in luxury Mediterranean cruising. Crystal’s ships, Crystal Serenity and Crystal Symphony, consistently rank as the top two cruise ships sailing in the world today. Both Travel + Leisure and Condé Nast Traveler awarded Crystal Cruises its “World’s Best” award an unprecedented combined 31 times. ItalianTourism.us guarantees the lowest prices and more amenities on all Crystal Cruises Mediterranean sailings. 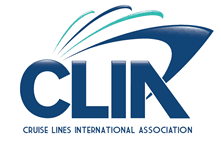 For more about Crystal Cruises embarking Rome and Venice click the tabs below or contact ItalianTourism.us today.